It is probably interesting, pleasant and inspiring to enjoy the paintings of the different artists on our site. Why not grab a pencil and try to paint yourself? Because sometimes we all want to express our thoughts or describe what we see, be it drawing on paper, be it painting on canvas. Although we think we can’t do it the same talented way as the professional artist. But what you create will forever be what you created and it is your own invaluable expression. So, what do say? Let’s give it a try! After all, it is possible that inside you there is a still sleeping artist. We will try to help you to wake him up. We make gifts from a batik. 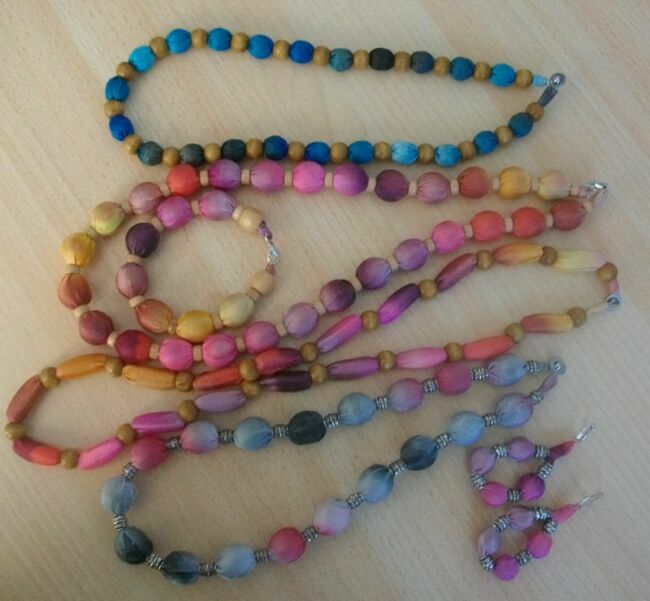 Costume jewellery. 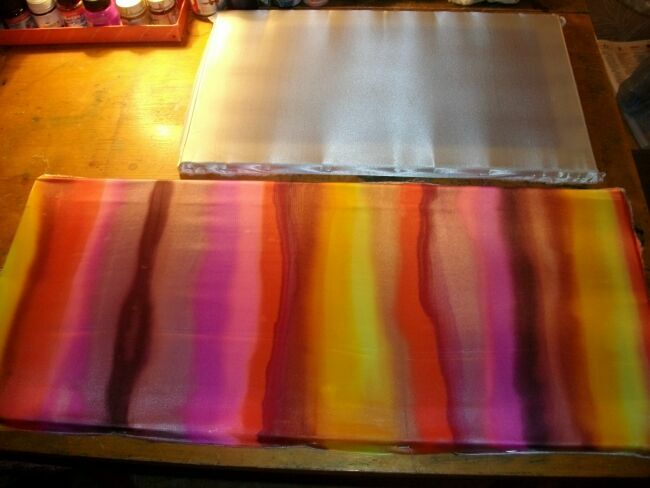 Today we will talk that it is possible to make of a batik still, except pictures, a panel and clothes. I to you will not tell about elements of registration of an interior. We already with you passed it. And I will tell how to make New Year's toys of a batik, to make Easter eggs and how to think up gifts for girlfriends and friends, as executed in the technician a batik. 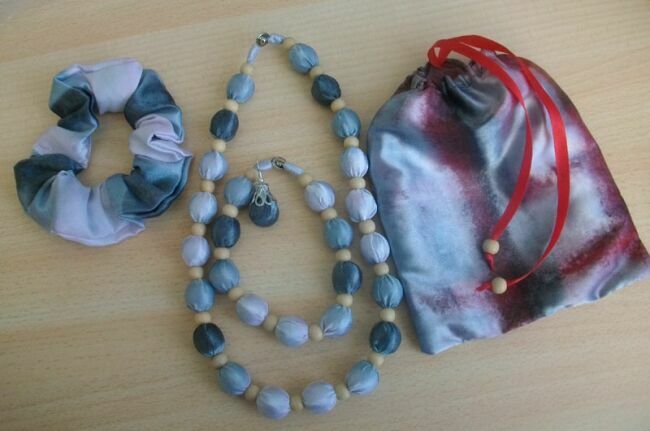 We will talk about costume jewellery from a batik. To make toys very easily. On a stretcher we pull a fabric. We do cliches of different forms and it is led round by their contour. In a contour we do drawing and any plot which has pleasant to you is drawn. We dry and cut out a picture. We impose on other slice of a fabric. Better the atlas. And under the form it is cut out it. Then we fill with a wool or cotton wool and it is sewn up from different directions. We sew an eyelet. And the toy is ready. 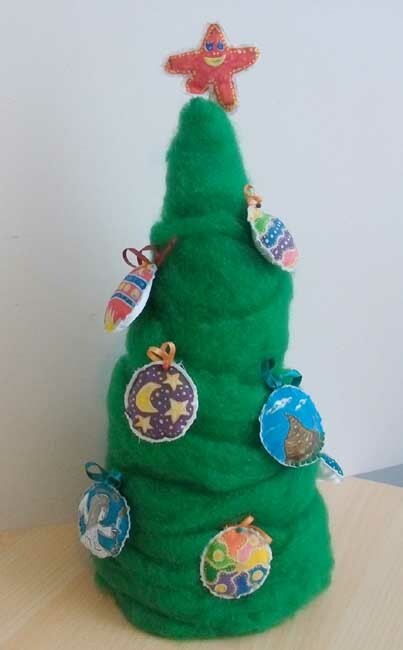 The fur-tree spike is decorated by the same toy but preliminary to attach it on a wooden stick. 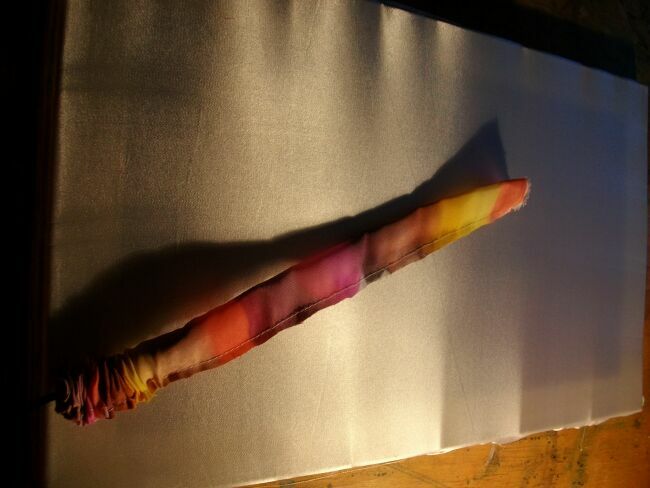 The fur-tree can be made of a fabric, having painted with its paints. 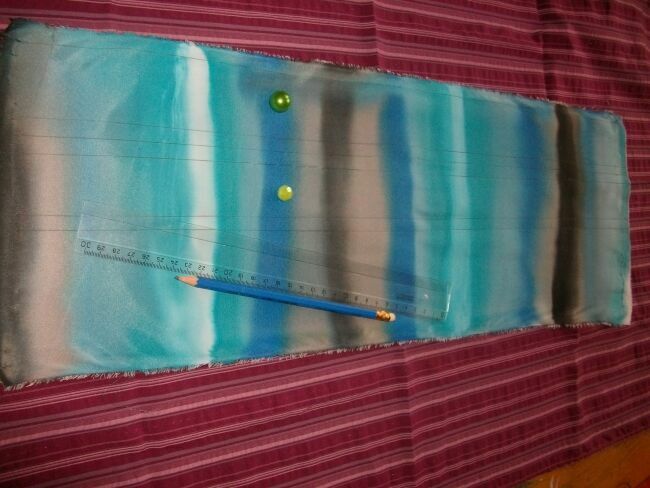 It is possible to make simply green colour of a fabric, and it is possible to make branches ate prints on a fabric. Then to build on a cardboard support a fur-tree. I have chosen other way. And for fur-tree manufacturing used a colour wool of green colour. Such fur-tree has turned out here. All our fur-tree is ready. I can assure. That your fur-tree will be the most beautiful and unique. And you can put it before each Christmas and New year. Technique of a list of a fabric for eggs as for New Year's toys. Only the cliche is carried out in the form of egg. And already in this form we paint pictures. In this case we do not stitch some egg fabrics from the back party, and we cut out them and we hang up so, having fixed on a paper clip. 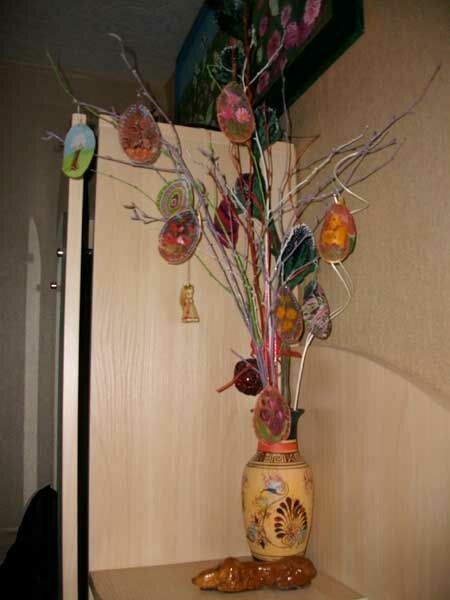 We select branches and it is hung up on it ready Easter eggs. It is possible to paint branches with acryle. In this drawing it is possible to look, as our work looks. 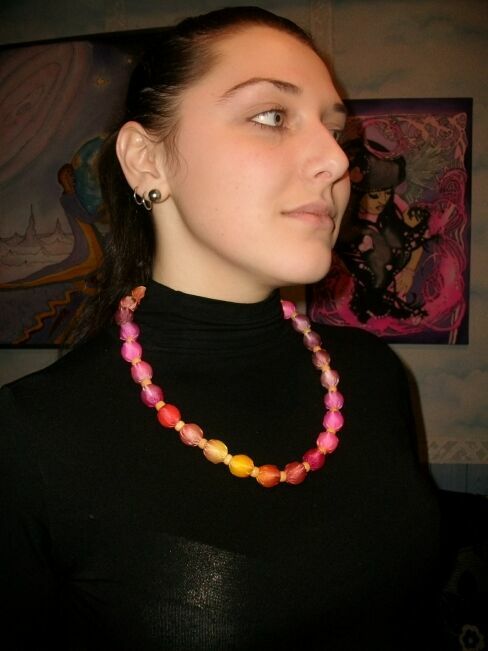 I offer you, for gifts to make beautiful complete sets of a beads and a bracelet, and ear rings. 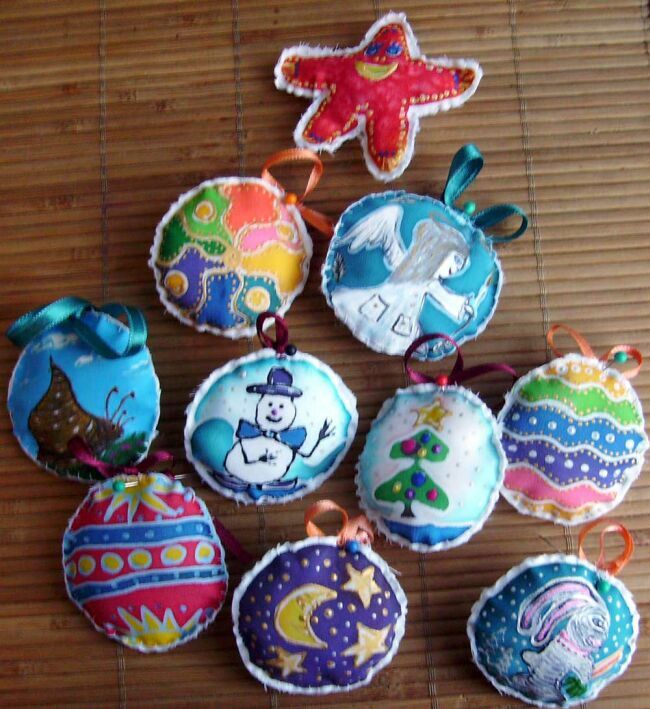 All can be packed it into the gift sack made in tone to ornaments. And still it is possible to make and elastic bands for hair. Any woman and the girl does not remain indifferent to such beautiful things. And so, we take a fabric and it is pulled on a stretcher. It is possible to take the size 50õ30 sm, 60õ40 see, we will receive at once 3 complete sets. The fabric will approach practically any, only it should not be thick and should not be transparent. I took the thin atlas. Fabric it is painted in any colour gamut. What is pleasant to you. We dry up it and we iron a hot iron from a seamy side. If the paint is not fixed by an iron, it it is necessary çàïàðèòü. Then, to take in water with vinegar and then to give a wash in warmish water. For work such complete set is required to us here. 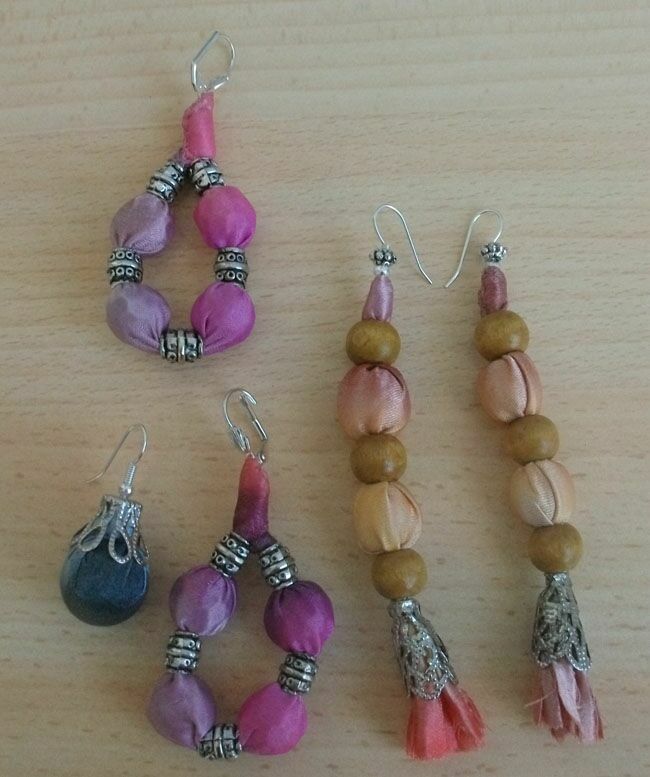 These are beads of the different sizes. 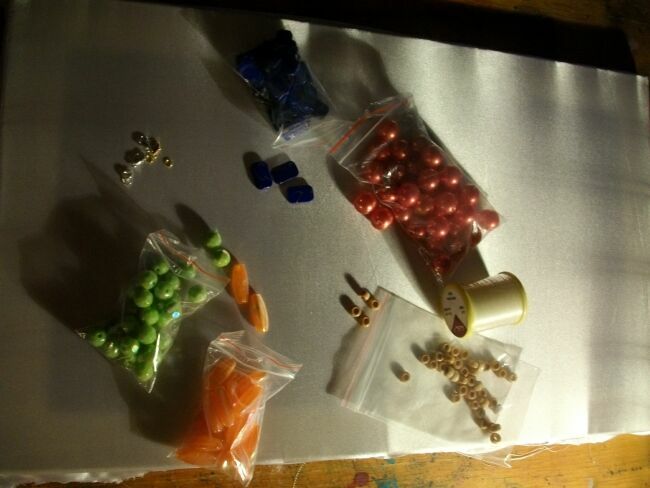 Beads with the big holes for fixing, and a fastener, and for ear rings also fastenings. As we need a colourless thread. For sewing of fasteners. And the sewing machine is still necessary. What to stitch a fabric. Now the most pleasant. 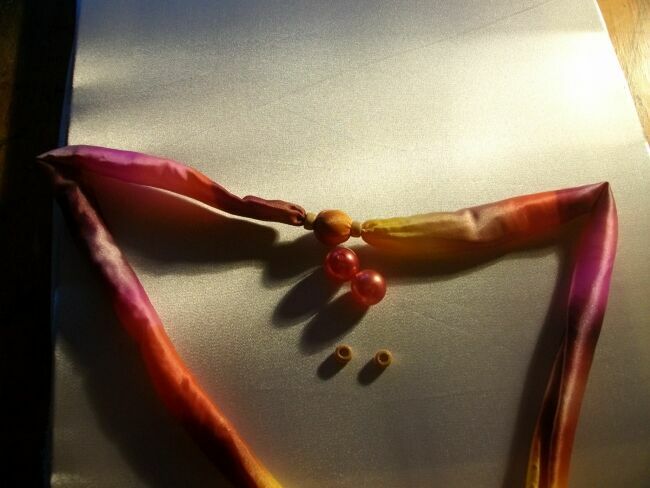 We thrust beads in inside fabric, and others from above fixes beads. Such string turns out here. We do its necessary to us are long. 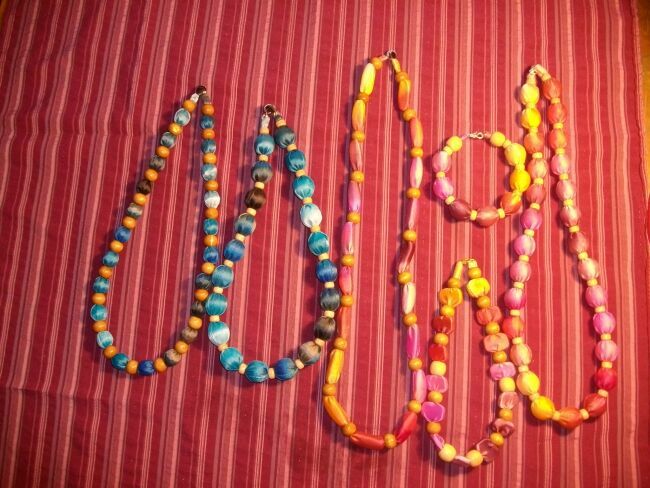 Both for a beads and for a bracelet. We cut off, we file and we sew fasteners. For ear rings, we use the same method, only we sew fastening for an ear ring. All your gift is ready also we can pack and present it. This gift exclusive also will always please your lovely girlfriends. 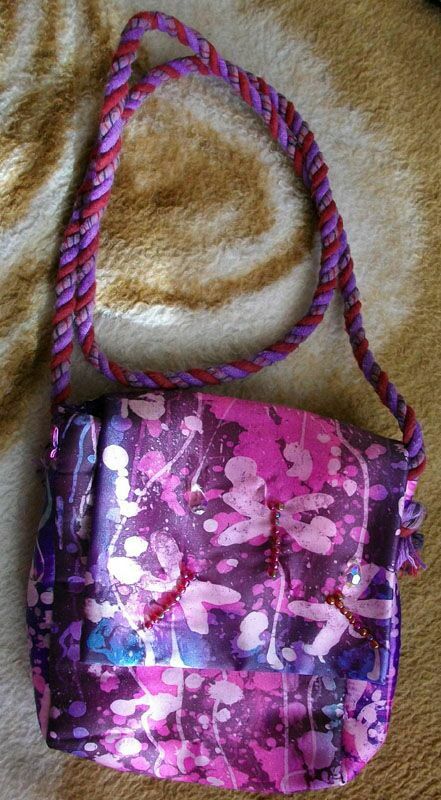 Except ornaments, it is possible to make and here such handbag. It is completely not difficult, and looks very stylishly and beautifully. Now about gifts for men. For them I suggest to make ties and man's scarf. For ties we buy preparations in art shops. We pull preparation for a list on a frame and we paint with a paint for a batik. Then we fix a paint and we erase a tie in warm water. We receive here such beautiful tie. 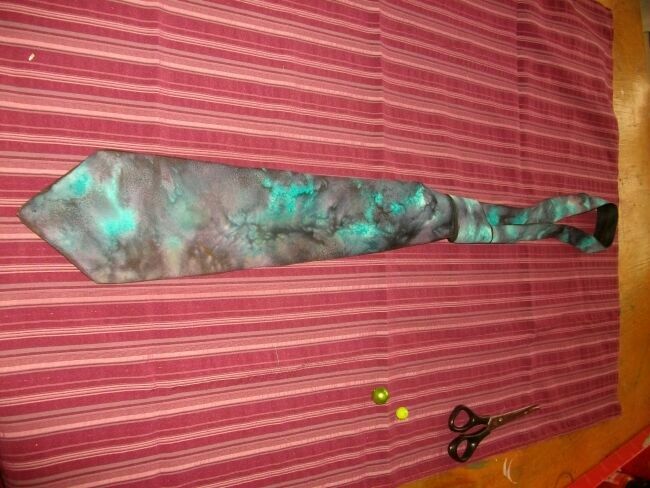 And for man's scarf we take a satiny fabric and too it it is painted. Is better abstraction themes will approach. I wish you to assure! 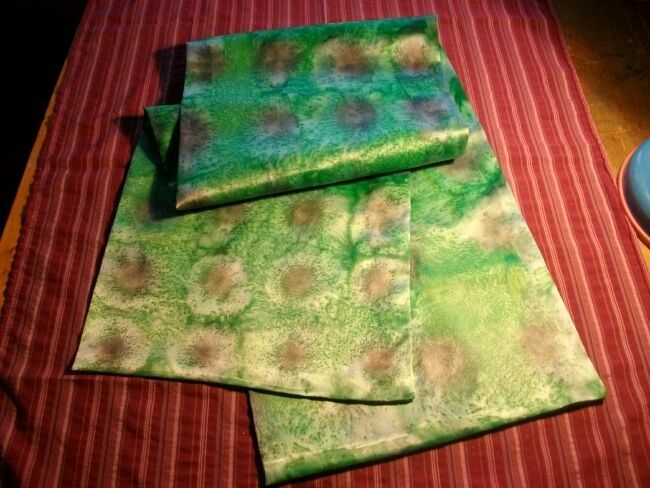 That gifts executed in the technician a batik — always please! Also that is pleasant, such things in the world do not exist any more! Please the friends and relatives! Well and it is final, too! For today it, all! Do not forget to look on us on http://www.artbaltica.com at us as always, new artists and new pictures! Let's meet!